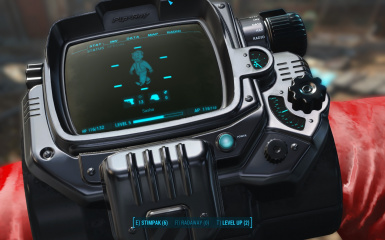 The Pip-Boy Deluxe was an experimental model, handed out to only one scientists. 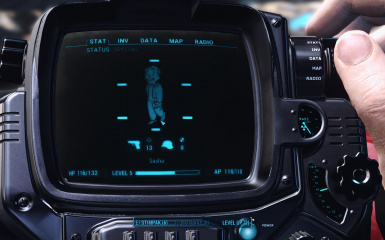 He just so happened to be assigned to Vault 111. Due to it's corrosion resistant materials it has stood the test of time unscathed. 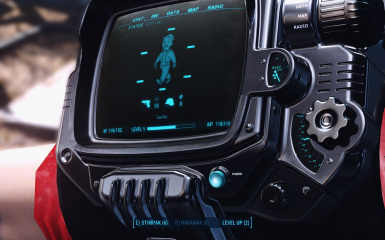 Enjoy your pristine LED BLACK Pip-Boy Deluxe! Same mod different color --->LED Platinum Pip-Boy Delux! Many hours went into this. Please remember to Endorse if you enjoy it.